Inc Magazine published a great article about Business Coaches. 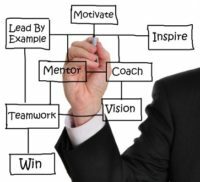 Business Coaching- Do you need one? It describes 4 different types of coaches – Life, Business or Executive, Media and Negotiation. I am a small business coach. Although I specialize in the water treatment industry I coach owners of business to business entities as well. I have experience growing a company and talk with fellow business owners frequently. I’m familiar with the excuses we give for not reaching our goals. I know what I’m doing, I just can’t get to it. I hired a coach to help me increase the value of my business. He was the facilitator of a CEO forum I attended. Although not from the water treatment industry, he was familiar with me and my business. With his help I guided my company toward achieving my valuation goal. He worked one on one with me and facilitated our semi-annual strategic planning sessions. How did he help? During our strategy sessions I watched as he delegated assignments to members of our management team. I learned how to do the same in my day to day activities. He held me accountable and I held my team accountable. Initially we met monthly to make sure I stayed on track. With practice I got better at holding myself and the team accountable and reduced the frequency of the coaching sessions. He made aware of my tendency to do work I was comfortable with rather than the more challenging job of working on my business. We targeted the metrics most important to achieving my goal and measured them, without fail, monthly. Not everyone needs a coach. The information you need is on the internet, in books and magazines, even on TV. A disciplined approach and time is all it takes. If you’re not getting anywhere month after month give me a call. A simple monthly phone call or meeting may do the job. Your first session is no charge.